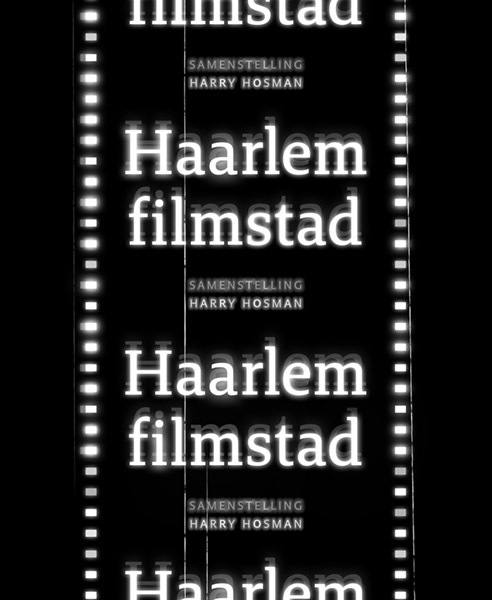 Haarlem Film city tells about the cinema life and the well-known and lesser-known studios, filmmakers and stars from the city. A lot has changed in the Harlem world of cinema in recent decades. 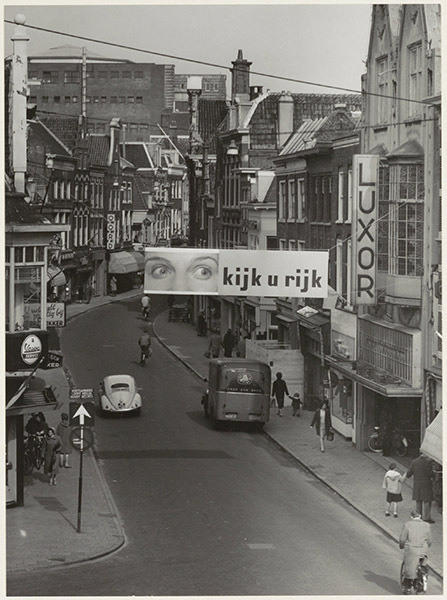 All the single-room cinemas have disappeared: the Lido (Houtplein), Frans Hals (Frans Halsplein), Luxor (Grote Houtstraat), Studio and Rembrandt (Grote Markt) and the Cinema Palace (Grote Houtstraat) dating from 1915. It has drastically changed the nightlife scene in the city centre of Haarlem. What’s now striking are the film-teams that regularly appear. Haarlem has been a popular filming location since the 1970’s. TV series’ like Levenslied and Divorce, numerous commercials and films including Vet hard, De aanslag and Het meisje met het rode haar were filmed there. Even Brad Pitt and George Clooney stood on a platform of Haarlem station, which was supposed to be Amsterdam CS. 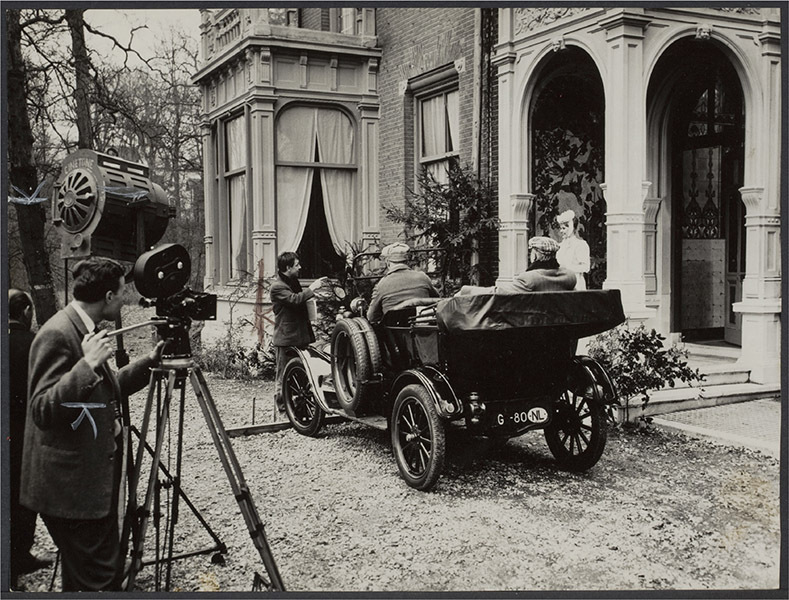 All this film activity is reminiscent of the 1910’s and 1920’s, when Haarlem also seemed to be the centre of the Dutch film world. 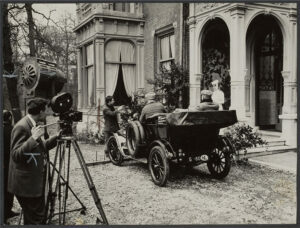 Cameramen, actors and décor builders walked back and forth in the Filmfabriek Hollandia at the Spaarne, where dozens of movies were created; Haarlem actresses like Annie Bos achieved star-status. Soon afterwards the city became the home of the notorious Polygoon news and of the experimental filmmaker J.C. Mol, whose products even caused a stir in the cinemas of Paris. Much later, the Haarlem animation filmmaker Gerrit van Dijk won a Golden Bear and the Haarlem producer Cilia van Dijk won an Oscar. 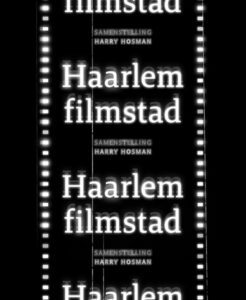 Haarlem film city is the first book about cinema life and the activities of all those famous and lesser-known studios, filmmakers and stars from the city and the Spaarne.